The war in Afghanistan is evolving with a growing number of attacks by Afghan security force personnel on American troops, incidents that have been called "green-on-blue" attacks. It's a term that the Pentagon wants to go away. So far this year the number of such attacks is nearly double the number for the same period last year. And this year 37 Americans have died, compared with 28 in 2011. "Make no mistake about it, I've been very concerned about these incidents ... because of the lives lost and because of the potential damage to our partnership efforts," Defense Secretary Leon Panetta said at a Pentagon news conference Tuesday. Gen. Martin Dempsey, chairman of the Joint Chiefs, said the name "green-on-blue" is a misnomer. U.S. Defense Secretary Leon Panetta on Tuesday accused Iran of training pro-Assad militias in Syria in an increased effort to to prop up the embattled Syrian president. "There's now an indication that they're trying to develop - or trying to train a militia within Syria to be able to fight on behalf of the regime," Panetta said during a news briefing at the Pentagon. "We are seeing a growing presence by Iran and that is of deep concern to us that that's taking place." U.S. Joint Chiefs Chairman Gen. Martin Dempsey, who briefed the media with Panetta, said this Iranian-trained militia appears to be made up of local civilians, "generally Shia, some Alawite." 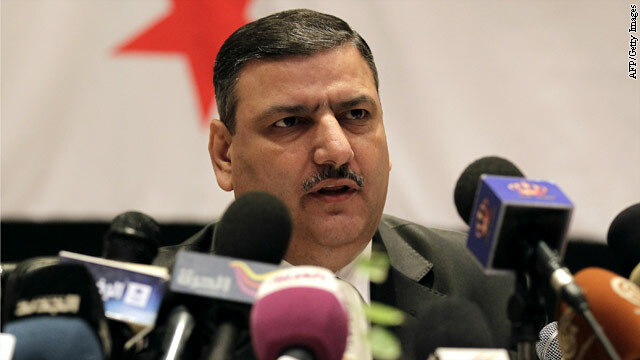 Syrian former prime minister Riad Hijab holds a press conference in the Jordanian capital Amman on August 14, 2012. The United States lifted sanctions Tuesday against Riyad Hijab, the Syrian prime minister who recently defected from the regime of Bashar al-Assad and fled to neighboring Jordan. The Treasury Department said that Hijab's ties to the Assad regime are severed, so he is no longer a senior official in the Syrian government and his name will be removed from the Treasury's list of people whose assets are frozen. "Recent civilian and military defections from the Assad regime are further indications that the government is crumbling and losing its grip on power," David S. Cohen, the Treasury's under secretary for terrorism and financial intelligence, said in a written statement announcing the action. "The United States encourages other officials within the Syrian government, in both the political and military ranks, to take similarly courageous steps to reject the Assad regime and stand with the Syrian people." Just hours after the new Yemeni president left for a conference in Saudi Arabia, members of the Yemeni military loyal to former President Ali Abdullah Saleh attacked the country's defense ministry on Tuesday. Hundreds of Republican Guards tied to Saleh and his son, laid siege the building near the center of Sanaa on Tuesday, a Defense Ministry official said told CNN. Four people were killed and nine injured, said the official, who did not wish to be named because he is not authorized to speak to the media. The former president and his family still wield a considerable amount of influence inside the military and other sectors in Yemen. Journalist Hakim Almasmari is in Sanaa and reported on the attack for CNN. He spoke with Security Clearance on Tuesday morning. Security Clearance: What is the situation like in Sanaa at the moment? Almasmari: Right now it is calmer than it was hours ago. 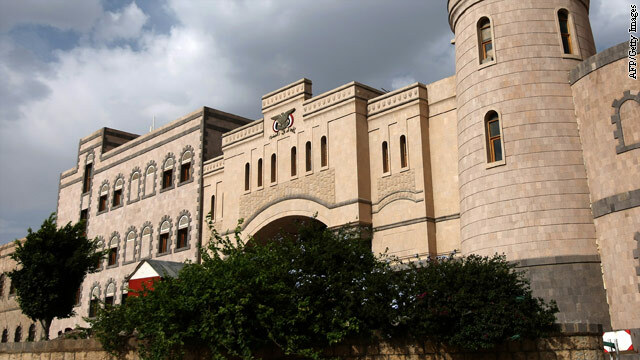 Hours ago the (Defense) Ministry was besieged, taken over or there was an attempt to be taken over by gunmen loyal to the former regime's president Ali Abdullah Saleh and his son. These gunmen were heavily armed with heavy artillery ready for war, and the time they came for this seizure was only hours after President (Abdu Rabu Mansour) Hadi left the country for Saudi Arabia to attend the (Organization of the Islamic Conference meeting). So, this was something that was pre-planned … waiting for the president to leave the country in order to cause some more chaos in the country. Perhaps Han Solo said it best in Star Wars when, describing his hyper-fast smuggling spaceship the Millennium Falcon, he said, "It may not look like much, but it's got it where it counts." While the Air Force might take exception to being likened to the Falcon, in reality the platypus-nosed X-51A Waverider hypersonic flight test vehicle really doesn't look like much. But it definitely has it where it counts. On Tuesday, the unmanned 25-foot-long vehicle will be dropped off of the wing of a converted B-52 bomber off the California coast and try to fly for 300 seconds at science fiction-like speeds of Mach 6, over 4,500 mph - fast enough to fly from New York to London in less than an hour.